This October/November, Cattle Decapitation will headline the Metalsucks & Exclaim! Aggressive Tendencies Presents “The North American Extinction Tour Part II: Inhuman Beings”. 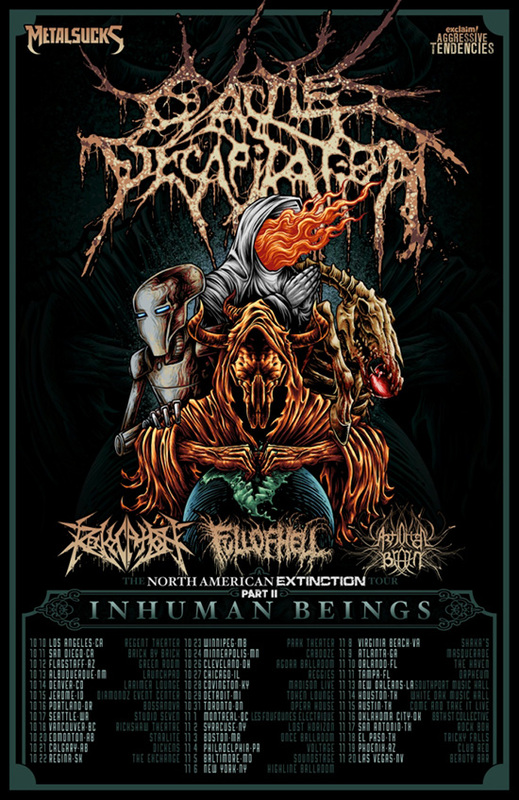 Featuring Revocation, Full Of Hell, and Artificial Brain as support, these upcoming shows are not to be missed! Tijuana, Mexico’s mad doctors of gore Thanatology will be replacing Full of Hell as support on the first 3 dates!